What first inspired you to write? I’ve been a voracious consumer of stories since childhood. Three things I’ve never been able to live without are books, comic books, and movies. I started out making my own comics, wrote a terrible Star Wars stage play in fourth grade, then eventually graduated to fantasy and science fiction stories that were all basically my retellings of books I loved. In ninth grade I wrote a (sort of original) fantasy trilogy – and just to show you how different things were back then, I had to handwrite the chapters on lined paper & keep the pages in three-ring binders. 2. Your book features younger characters. What about this age group interests you? 3. Describe your latest book. 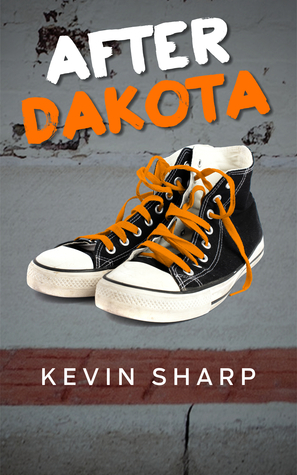 After Dakota is a YA novel about a year in the life of three teenagers following the disappearance of their close friend in a plane crash. I know that makes it sound like a downer, but the types of stories I respond to the most are the ones that don’t fit neatly into a genre box. It’s set in 1983-84 – it was written as a tribute of sorts to the classic teen movies of the era (The Breakfast Club, Fast Times At Ridgemont High, Say Anything, etc). 4. What is your next project? Is it in the same genre? Next up is a YA science fiction novel. Though I’ve read & watched endless hours of sci-fi in my life, I’ve never seriously tried writing it before. It’s proving to be an interesting challenge – emphasis on challenge. After that I plan to do a literary novel based on something that happened to me in the movie business (I was in screenwriting before starting my current career). I’m going to cheat on this question. Instead of naming one person, I’ll tell you the ones who fed my mind and imagination in my formative years: Tolkien, Lewis, Bradbury, Piers Anthony, Robert A. Heinlein, Stephen King, Harlan Ellison. Some of them I still get great pleasure from reading, while others I’ve “broken up with.” But my younger self will always be grateful for the places they took me. 6. What was the most challenging thing about publishing? I heard from agent after agent that a “small” book like mine would get washed away in the current marketplace. I heard that the “only things” teenagers want to read are fantasy & dystopian sci-fi. I heard that teenagers wouldn’t be interested in a period piece. The two most frustrating parts of all this were a) These proclamations would be accompanied by praise for the book from the same agents, and b) I see what teenagers are reading every day & I guarantee you can’t make a broad generalization about what they all like. 7. What advice would you have for new writers? This is nothing new that you can’t hear elsewhere, but it’s really true: finish everything. I preach this to my students as well. Just put an ending on – even if it’s terrible – because then you have a completed story that you can make better. 8. How do you come up with ideas for your characters? Ah, the toughest question! Sometimes it’s an idea for a story & then finding the characters that fit. Sometimes it’s finding a story to fit a particular character. In my screenwriting days, I admittedly focused on the first one: what would be an interesting, commercial story? One of the pleasures of novel writing is the opportunity to let things breathe more, to spend time getting to know characters instead of always rushing onto the next scene. My novel takes place over the course of one year & I quite enjoyed spending that time with the three main characters, seeing how they changed (or didn’t). Hopefully readers feel the same way! This entry was posted in Author interviews, Goodreads, indie authors, Life, Novels and tagged author interviews. Bookmark the permalink.